We have received numerous phone calls regarding a subject identifying himself as "Lieutenant Daniels" with the Island County Sheriff's Office leaving messages requesting a call about a "Civil Matter" or a "Urgent Matter". The number the subject leaves goes directly to the voice mail box of "Rick Felici" (the name of the current Chief Criminal Deputy) and the extension the victim is asked to dial goes directly to the voice mail box of "Lieutenant Daniels". If the victim answers their phone during the initial call, or leaves a call back number on the voicemail, the next step usually involves threats of arrest for non-payment of fines or outstanding warrants. The suspect will then ask for payment usually in the form of gift cards or prepaid debit cards. In some instances the suspect may ask directly for the victim's credit card number. The Sheriff's Office will not request payment over the phone for fines or arrest warrant removal, especially in the form of gift cards or prepaid debit cards. Legal fines are paid through the court system. The telephone number the call comes from and the telephone number the victim is directed to dial all appear to be local telephone numbers, however our detectives have tracked them back to a voice mail service in Florida. If you do get a message or end up speaking with an individual and you doubt who they may be, you can contact the Sheriff's Office main extension during business hours at 360-678-4422, or the ICOM dispatch center at 360-679-9567. We have gotten several more reports that the Island County Sheriff's Office phone scam is evolving. The suspect is calling from a number that has had the caller ID changed (Spoofed) to show that it is coming from the Island County Sheriff's Office or the Island County court house. If someone answers the phone, the caller identifies themselves as "Rick Felici" (the current Chief Criminal Deputy) or " Lieutenant Daniels" and states that they need to speak about an urgent matter. In an attempt to legitimize the call, the caller will often provide information to the victim such as their physical address, email addresses or other personal information that can be found online through various sources. The caller then tells the victim that they have outstanding arrest warrants or civil fines that they need to pay or face arrest. The suspect then gets verbally aggressive with the victim and demands payment via prepaid credit cards or gift cards. If no one answers the phone, the suspect leaves a message directing the victim to call due to an "urgent" matter and leaves a number that goes to an automated voicemail. 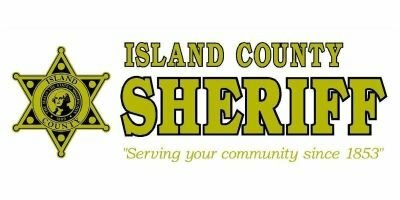 If you receive a message from anyone claiming to be with the Island County Sheriff's Office, or if you speak with someone directly, you can verify who they are by calling our business line at 360-678-4422 during business hours or the ICOM dispatch center at 360-679-9567 24 hours a day. 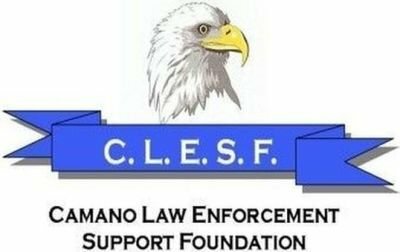 LAW ENFORCEMENT WILL NOT CALL YOU TO COLLECT FINES OR ACCEPT PAYMENT TO REMOVE ARREST WARRANTS, ALL FINES ARE COLLECTED THROUGH THE COURT SYSTEM. ANY TYPE OF PAYMENT OWED WOULD NEVER BE IN THE FORM OF PREPAID CREDIT CARDS OR GIFT CARDS. DO NOT PROVIDE YOUR CREDIT OR DEBIT CARD NUMBERS OR ANY BANK INFORMATION.